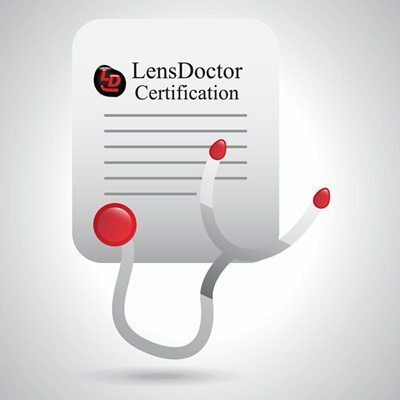 Get Certified Overview – LensDoctor® Dealer Training. Headlights are an important safety device and proper headlight restoration is in high demand. I offer 2 different levels of training and each one is suited to your needs. Whether you are someone who is looking to increase your income, you want to start your own business or you run a company and want to add a new service to your existing business, I have just what you need. Free Online Training is where I believe everyone should start. You get online training videos which allows you to work at your own pace on everything from How to Sell Restoration Service and How to Maintain Your Equipment to learning all the secrets of How to Restore Headlights using the patented* LensDoctor® process. Each section includes a short quiz to make sure you got the most important points. Comprehensive On-site Training is for those who really want a jump start because sometimes, if we want to try something new, it helps move that process along when you have your own personal trainer. It includes everything the online coarse does plus your training is literally hands-on with an instructor who comes to you. Both programs offer Free Online Support and the handy online referral page I installed on the LensDoctor.com website titled Find a LensDoctor®. This is so that customers can find you… they just simply enter their address or zip code and up pops your name! Your listing as a LensDoctor® Certified Dealer as well as the Free Online Support will continue as long as you purchase your supplies from me and you keep up the good work. Get Certified Overview – LensDoctor® Dealer Training is is being offered to you because I want to do something good for the 99%… we are all in this together, why not do my part to make our lives better. * The founder and president of LensDoctor, Inc. owns U.S Patent #7,404,988 on which the LensDoctor® Headlight Restoration Process is based and all rights are reserved.